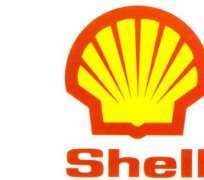 Speaker of the House of Representatives, Yakubu Dogara yesterday demanded a thorough investigation into the planned relocation of Shell Petroleum Development Company (SPDC) from Rivers to Lagos state. The Speaker stated this while inaugurating an ad-hoc committee of the House mandated to investigate the planned relocation of the company and report back within four weeks. Dogara who was represented by the Deputy Majority Whip Hon. Pally Iriase noted that an improved relationship between the Federal Government and the Niger Delta region was crucial in addressing some economic challenges confronting the country. `This is because the Niger Delta region sit atop oil wells where much of our revenue as a nation is derived from. Relocation by the SPDC is said to be based on security concerns today. This has generated outcry and agitation by the people and if we as a House do not address it, it may escalate and result to violence and insecurity,'' he said. The Speaker added that the onus lied on the Federal Government and the house to ensure that justice on Niger Delta region was not denied.